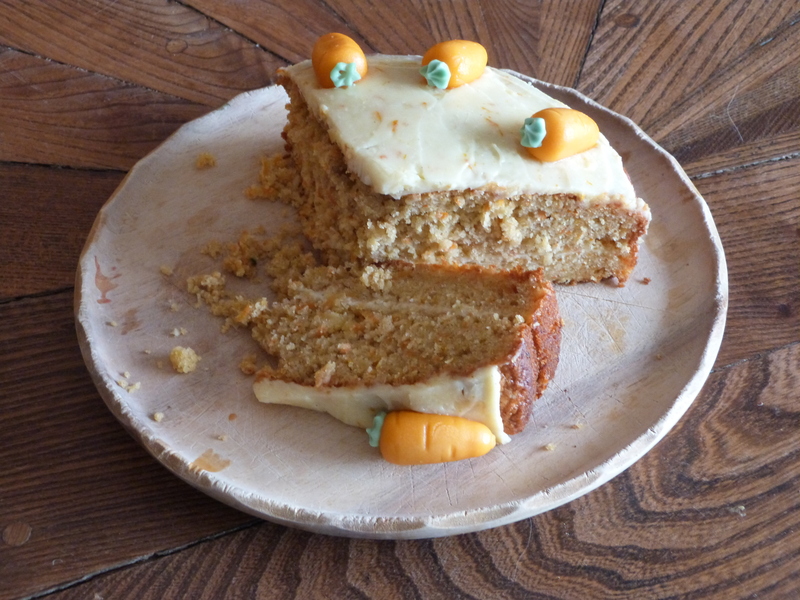 Made with grated carrots, crushed pineapple and lots of spices, this cake is moist, crumbly and extremely popular. The cream cheese mascarpone icing is flavoured with orange zest and balances the cake perfectly. This cake will keep for several days.